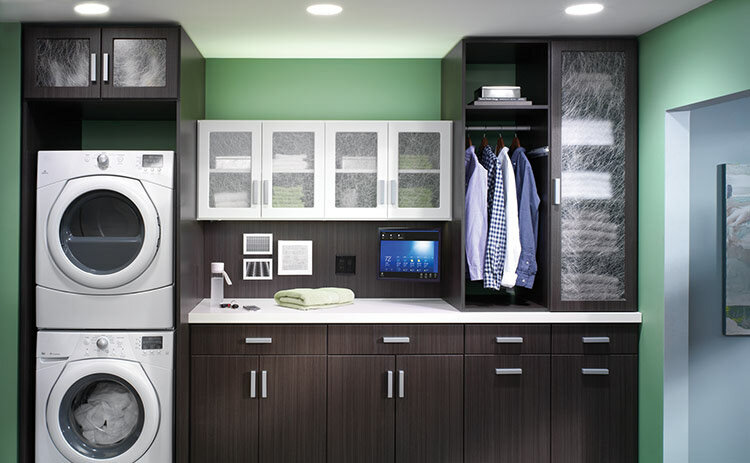 In most of the cases, utility rooms are not much talked about. This room is generally an ignored room of a house. This is the reason that this room is commonly found as a cramped place with several areas being overstuffed with a lot of things that we may or may not need on daily basis. Thus, people rarely talk about make this room as aesthetically pleasing area of the house. But there is one more thing to talk about. It’s quite strange people spend big portions of their time in this room in order to do some household work. Take laundry. You may know how much time the laundry work takes when it’s a house accommodating 4 – 5 family members. And, it’s usually the utility room in which you iron your clothes. So this is the place which naturally takes bigger portion of your time and you may not even realize about this time spent. Therefore, this place needs to be good when it comes to aesthetics. You are basically forced to work in a messy utility store after when you enter into it because you are not pleased with the overall outlook of the room. But you can change it to make it the room you would like to stay in. This is what we can call creating coziness in the environment. You can start with the walls of the room. The walls of your room need to be painted with the color of your choice but you can go a step further to bring in the texture by applying faux brick panels on the walls. Fresh paint on the walls above the wall cabinets and panels on the walls beneath the cabinets are going to give you good sensation during your stay in the room. 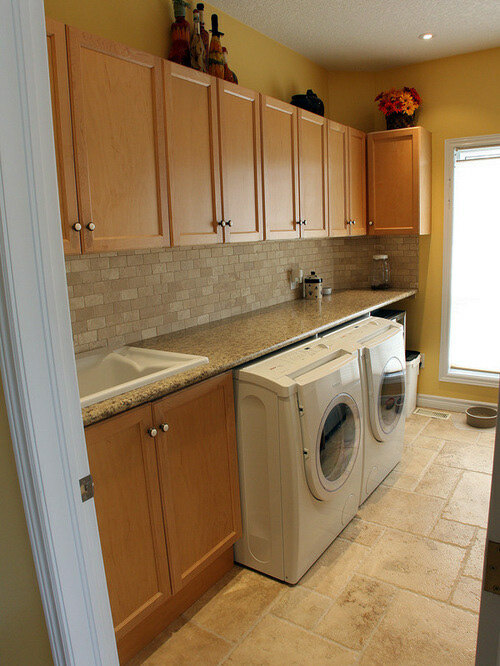 In addition to the aesthetics, you have to make sure that function of your utility room is also not ignored. Since utility room is the area which is used to store different types of items and that too in the form of a lot, you have to make sure that you have organized this room quite well. The first thing you have to look at is the cabinetry of the room. If you are a bigger family and you have a lot of items to store, you will need to install cabinetry high up on the walls and under the countertops. You can also add storage bins in the room. A foldable ironing board along with the storage option in order to keep the iron in a secure place is a good arrangement. There should also be shelves in which you could store items which you use on daily basis and you want to have access to them on quicker basis. 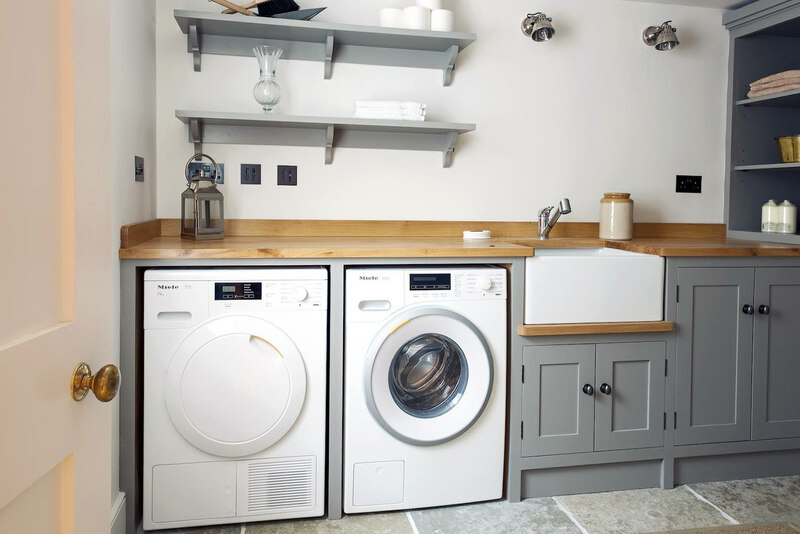 Your utility room is not just a storage room which you could use as an attic where items are thrown in. It’s a room which comes under regular use. So it needs to be decorated and organized in the way it needs to be.